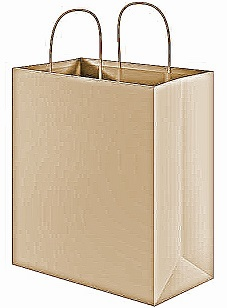 Coopers Tote Bag is a cotton purse with a leather bottom and straps. 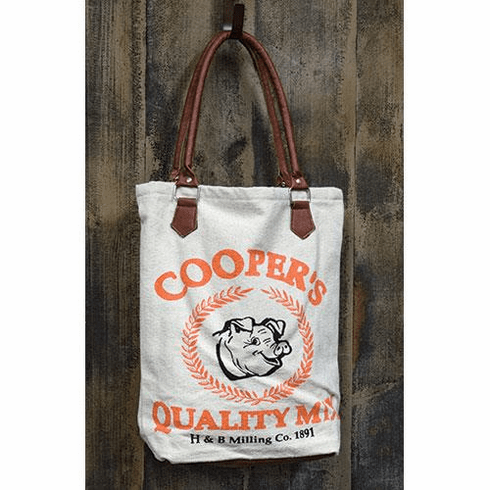 The tote bag features a feed sack style design with the image of a pig and the words, "Coopers Quality Mix" printed in bold, orange lettering. The interior of the bag is a navy and cream striped pattern, and it includes a pocket for organization. Bag also features a magnetic button closure. Measures 18" high by 14" wide and 5" deep.